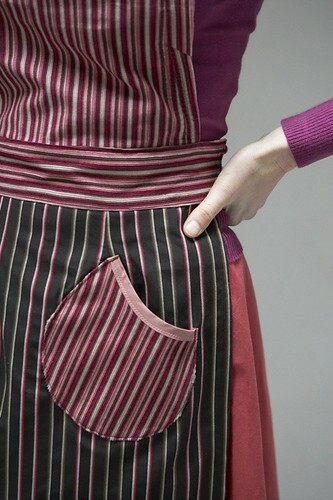 I’m running an apron making workshop on 31st July at Unit 12, Jennifer Collier’s lovely little gallery in Staffordshire. Unit 12 is based on Jennifer’s parents’ farm and is a glorious rural setting, complete with friendly dog and sheep to look at. I love visiting. To celebrate the launch of Sew Eco, I am running a workshop where you can restyle an old skirt to make a fabulous new apron. 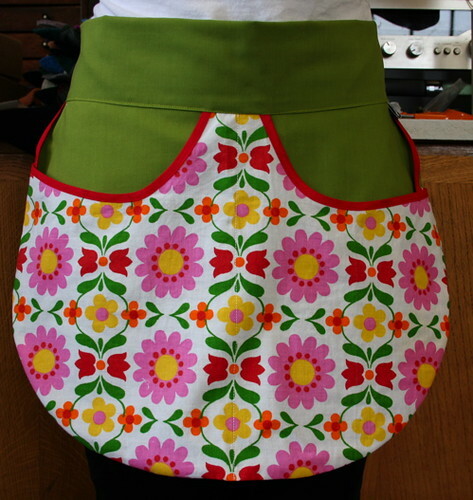 You can make one just like mine (above) from Sew Eco or based on another of my designs, or using a vintage apron as inspiration. You can of course create your own design. I will be providing all materials and equipment, fabrics for embellishment, vintage trims and lace and of course expert guidance. 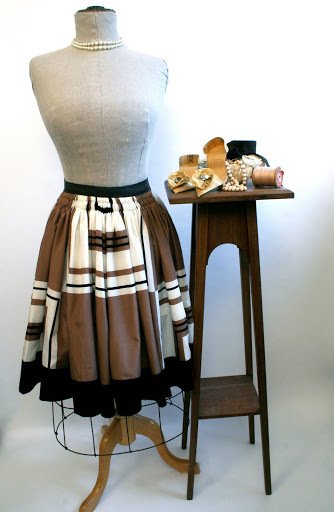 All you need to bring is an old skirt to transform. « Finally some house photos! I wished I was closer to Staffordshire! 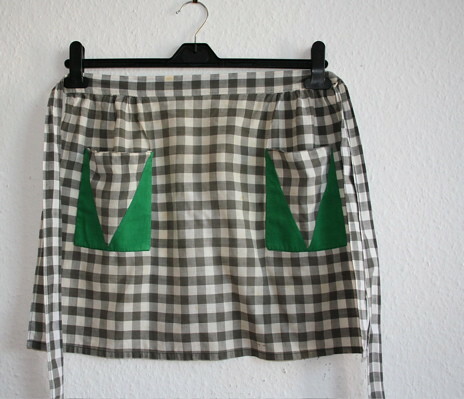 I have just the perfect skirt that I could transform into an apron. I love that last one with the stripes!Nice work, I love it.